Finally summer is here and the weather is getting hotter and hotter. After a prolonged winter, after so much rain, wind and cloudy weather it is high time we enjoyed sunshine and warm days! As I have told you before soups are not really popular in Greece. 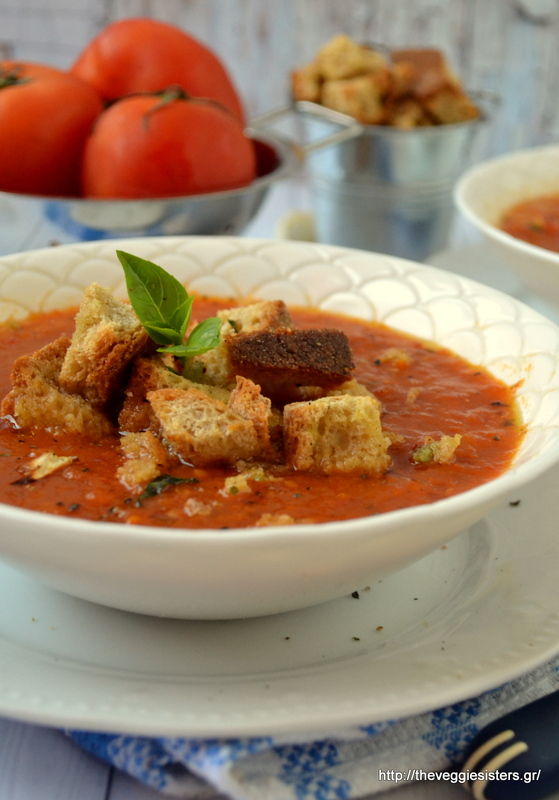 Greeks have soups on cold winter days or when they are sick! But I strongly believe that soups are ideal for a light summer meal. This one I am sharing with you today was a big hit in our house and has already become a favorite meal. 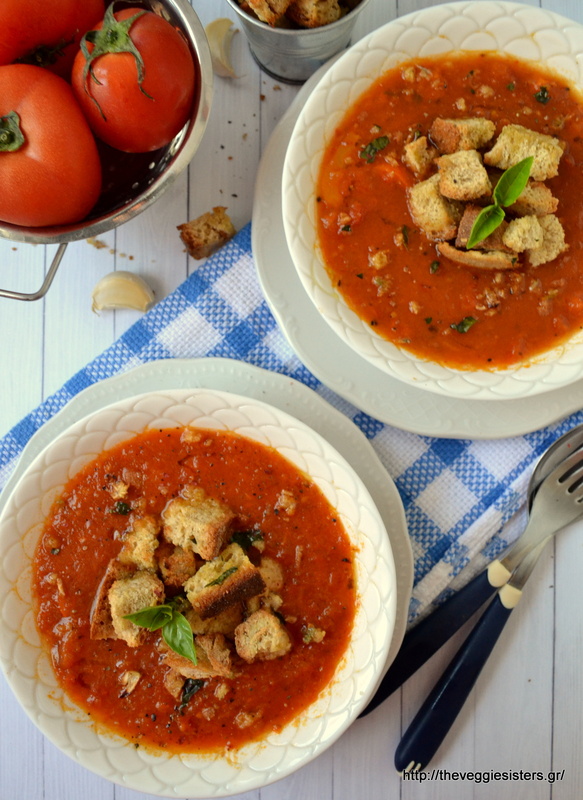 It is made with roasted tomatoes, fresh basil and is topped with garlicky homemade croutons. This is heaven! This is my kind of summer comfort food! Hope you enjoy it as much as we did! Have a lovely day everyone! Lay tomatoes, peppers and onion on a baking sheet lined with parchment paper and roast at 180C. When ready, put them in a pot along with the water and basil and bring to a boil. Season with salt and pepper, pour olive oil. Then puree soup with an immersion blender. Put all the crouton ingredients in a bol and mix with your hands. Transfer on a baking sheet lined with parchment paper and bake at 180C until golden brown. Serve the soup and top with croutons. Enjoy! 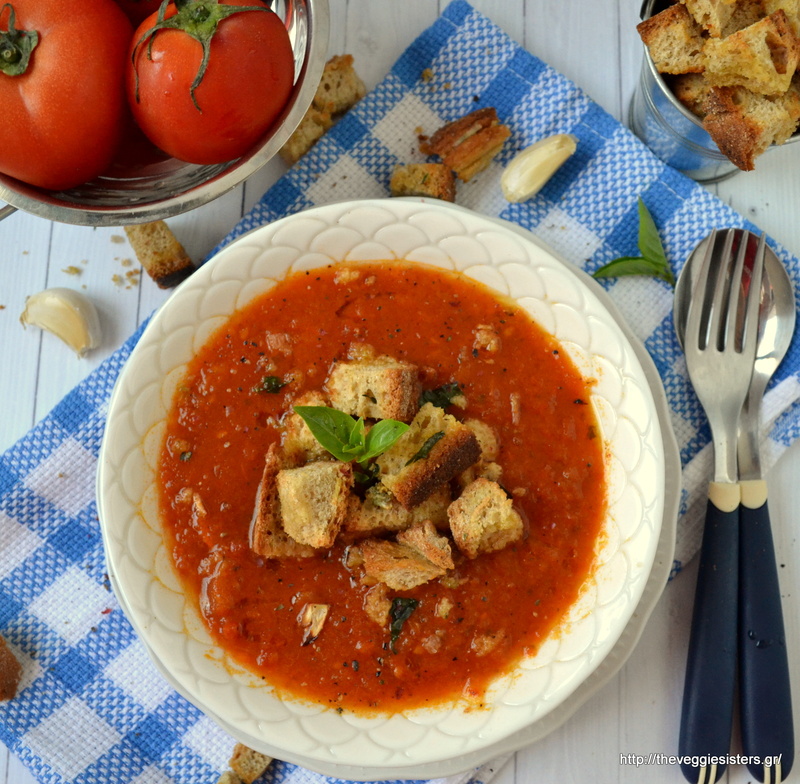 Share the post "Creamy basil roasted tomato soup"